Little notes from Heather and Martin: Fair Trade scorched almonds! 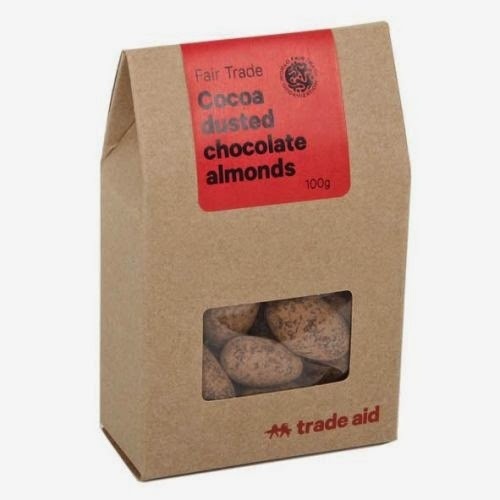 I'm rather partial to scorched almonds, so I was delighted to discover yesterday that TradeAid are selling Fair Trade ones! (Or almost - from the picture it doesn't look like they're as chocolate-heavy as actual scorched almonds, plus they're cocoa-dusted rather than shiny). I can't wait to try them :-) They've also added chocolate-coated raisins to their range. Buy online or find your local shop here.